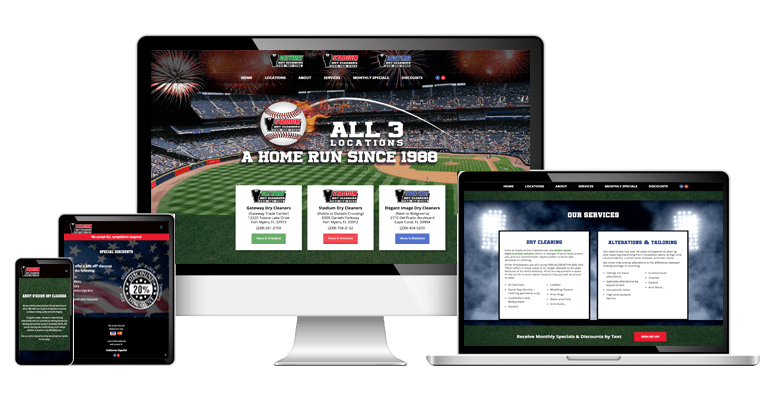 Stadium Dry Cleaners came to us with the vision of developing their website in a way that would attract potential customers to their three business locations. 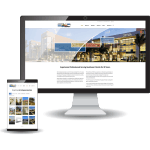 The result was a website with a modern, responsive design and easy-to-navigate single page layout. For best optimization, the site is now SEO friendly with relevant keywords and titles that enable users to easily search and find the website. 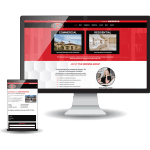 With custom graphics and animation jumping off of the page, it was decided to incorporate movement on the site to help engage visitors’ attention and interest to the services they offer. In order to create a simple, effective way for customers to obtain a discount, we integrated a text message marketing feature that allows visitors to enter their contact information in order to receive deals and offers via text message.